The novel begins with explorer Robert Walton looking for a new passage from Russia to the Pacific Ocean via the Arctic Ocean. 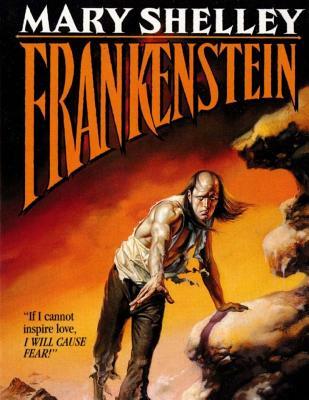 After weeks as sea, the crew of Walton's ship finds an emaciated man, Victor Frankenstein, floating on an ice flow near death. In Walton's series of letters to his sister in England, he retells Victor's tragic story. Growing up in Geneva, Switzerland, Victor is a precocious child, quick to learn all new subjects. He is raised with Elizabeth, an orphan adopted by his family. Victor delights in the sciences and vows to someday study science. Victor prepares to leave for his studies at the University of Ingolstadt, when his mother and Elizabeth become ill with scarlet fever. Caroline dies from the disease, and Elizabeth is nursed back to health.